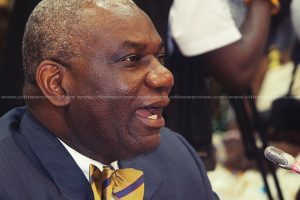 The Minister for Energy, Boakye Agyarko has inaugurated a committee to supervise the open competitive bidding of Ghana’s oil blocs to prospective oil exploration companies. The committee, known as the Licensing Bid Evaluation and Negotiation Committee will assess investors seeking to start oil exploration and production in Ghana, and advise the minister before an agreement is entered. By this, the ministry is moving away from the practice where oil blocs are awarded to companies without open market bidding. Government, recently came under criticism for awarding exploration contract to oil giant, Exxon Mobile without competitive bidding. Speaking to journalists, Mr. Agyarko explained that the committee will make recommendations to the government, upon which a decision will be taken. According him, “The terms of reference for the committee are: to prepare all the necessary documentation for a successful bid round. Assess and package all the data on the acreages. Set up an online data room where all the data can be accessed by prospective bidders, and embark on promotions and roadshows in collaboration with the Petroleum Commission”. He added that the committee will also invite bids from prospective applicants and examine them to make sure they meet the requirement in the Petroleum Law. “The committee will also carry out pre-qualification of applicants in line with applicable regulations. Evaluate qualified bids and select winners in line with a transparent criteria”. Mr. Agyarko pointed out that the committee will finally “negotiate with the winners of the bids and provide recommendations to the minister for signing the petroleum agreement”. Giving the rationale behind the move, the minister explained that government intends to enhance transparency and accountability in the petroleum industry. He observed that this is part of the Nana Addo government to protect the best interest of the nation in oil exploration. The post Energy Ministry opens Ghana’s oil blocs for competitive bidding appeared first on Citi Newsroom.